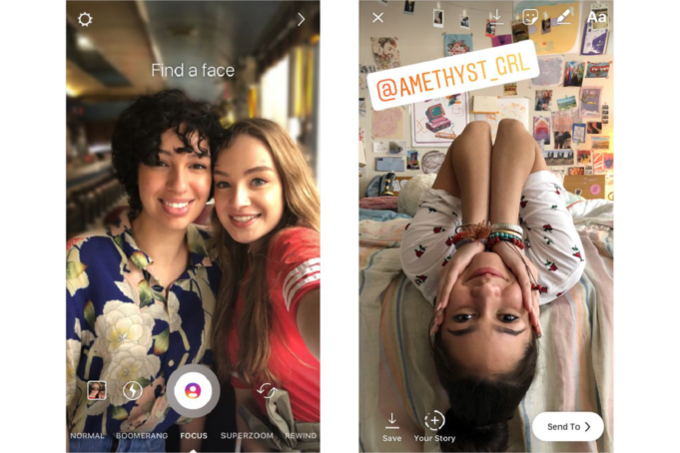 Instagram has introduced a new Portrait mode to its Stories feature and it is called Focus in the camera section. The Facebook-owned social media platform is getting updated with lots of features recently. After re-introducing the GIF stickers recently to the app, a new camera mode has been added in the stories dubbed as “Focus” mode. The Instagram Focus mode in the camera looks for a face to add a bokeh effect to the pictures. As every smartphone doesn’t come with the portrait mode to add a blur effect to the background, Instagram added this feature directly to the camera mode of the app. This new feature is not only available for the rear camera, it will also add a blur effect to the selfies just like in the rear camera. Further, the Focus mode effect is not restricted just to pictures – users will also be able to add the blur effect to video stories too. Once you have clicked a photo or captured a video, you will be given the option to apply stickers to the captured media. Other than the Focus mode, the Instagram app has also been updated with a new feature called User Mention sticker. Earlier, users had to mention the username in plain text to tag someone in the pictures. After the addition of this feature, the username will become a sticker on the picture which looks great with the new rainbow color effect. The Focus mode and username mention stickers features are being rolled out with a version 39 update to the Instagram app. Earlier, it was revealed that Instagram is testing a new Nametags feature similar to Snapchat’s QR code feature. This feature will allow users to generate Nametags containing a link to their Instagram profile, making it easier for them to promote their profiles.